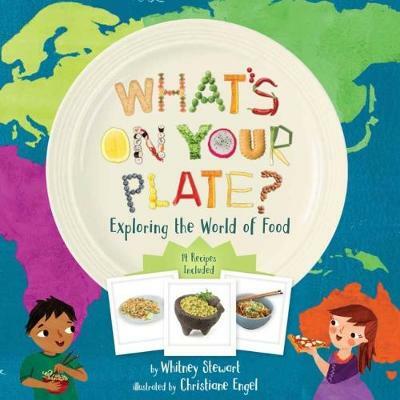 It's a big, tasty world out there, and this book takes kids on a tour through the cuisines of 14 countries, complete with a recipe for each one. What's on your plate? Chances are it's not quite the same as what's on other children's plates around the world. Come on a journey to see how people in different countries prepare, eat, and think about their food. Beautiful photographs and illustrations capture the food culture of 14 countries. Each spread includes an overview of the country and its native foods, photographs of the various dishes with pronunciations and descriptions, an easy recipe for kids to try, and an illustrated map of the country. With so many fun elements to intrigue them, young foodies will be excited to learn about how people eat across the globe!